English navigator and traveler, the son of Sir Williams Beachy, a famous portrait painter. Born in London. 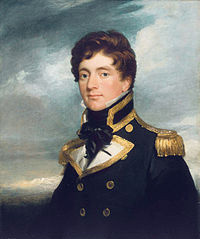 He came to the fleet at the age of ten, took part in the combat operations of the English fleet against the French in 1810-1812. In 1818, Beachy made his first voyage to the Arctic. He participated in the expedition to the North Pole under the command of David Buchan on the ships "Dorothea" and "Trent" as an assistant to the captain of "Trent" J. Franklin. 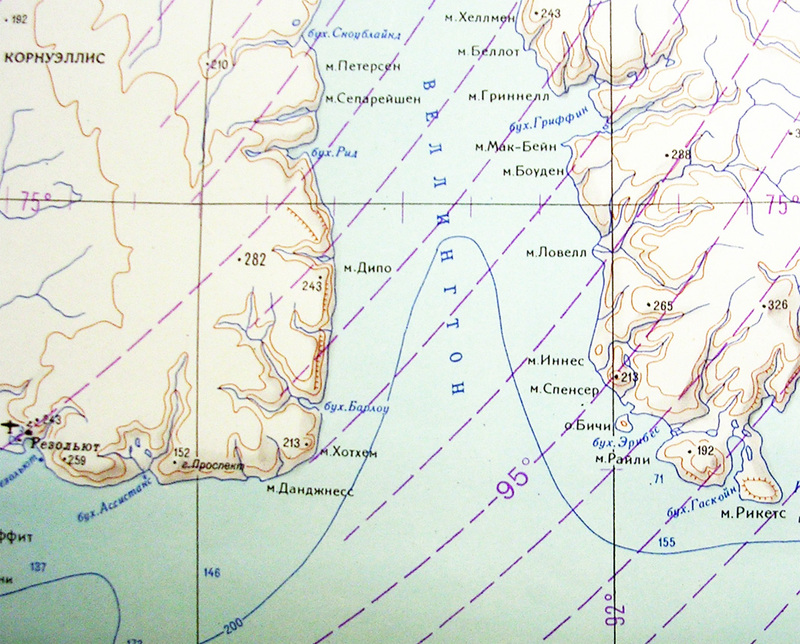 The instructions of the Admiralty ordered ships to go to the pole from Svalbard. At that time it was not known about the existence of a powerful counter-current, which carried a huge amount of ice from the polar regions. The expedition made three unsuccessful attempts to penetrate north. During the third attempt, ice-clamped vessels could reach only 80° 34' N. Due to the frequent strong compression of the ships more than once found themselves in a critical situation. This is how Beachy, in his report published only in 1843, describes one of these moments: “... We felt how Trent squeezed on all sides and lifted four feet up by force of pressure, tilted to the side more than five cladding boards. The most significant damage happened in the stern, which was compressed to the point that all the doors of the cabins swung open and the door frames warped. Akhtershteveni moved from place to three towers and cracked in some places. "Dorothea" suffered even more, several of her beams broke in half, and the two boards of the lower deck were twisted and completely broken. "Dorothea" could no longer continue to attempt to enter the ice, and Buchan ordered to return, although Franklin wanted to continue sailing alone. The next year, in 1819, Beachy was part of the expedition of William Parry on the Hekla and Graiper ships, which set off in search of the Northwest Passage, moving from east to west towards Franklin’s land expedition. This expedition managed to make interesting and important discoveries to establish a through passage. For the first time managed to get through the Strait. Lancaster, open the straits of Barrow and Vaikunt-Melville (to the west), Prince Regent (to the south) and Wellington (to the north) , as well as the coast of the adjacent land. However, the main task failed. In 1821, he served under Captain W. Smith, a veteran of hydrography, and then took photographs of the northern coast of Africa. After this shooting, Beachy, who received the rank of Captain 3rd rank, was sent along with his brother G. Beachy to the classical region of ancient Greece to study ancient structures. In 1828 he published a report on the expedition and a description of this ancient country. 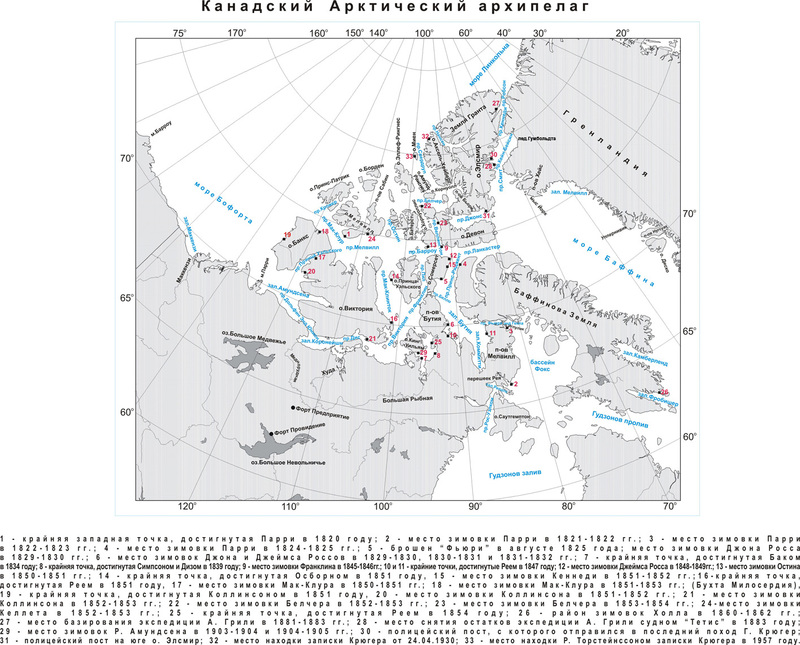 In 1825, Beachy was led by one of the teams of the expedition, with the goal of opening the Northwest Passage. He was supposed to move from the Bering Strait eastward on the Blossom vessel to a meeting with the U. Parry detachment from the Baffin Sea and the J. Franklin ground detachment. It was planned to meet all units at any point, which would mean the opening of a through passage. Beachy managed to pass up to 71° 23'31"N and 156° 21' 30" W , but failed to complete the task, and at the end of 1828 after a three-year absence, having traveled a total of 70 thousand miles, Blossom returned to Plymouth. 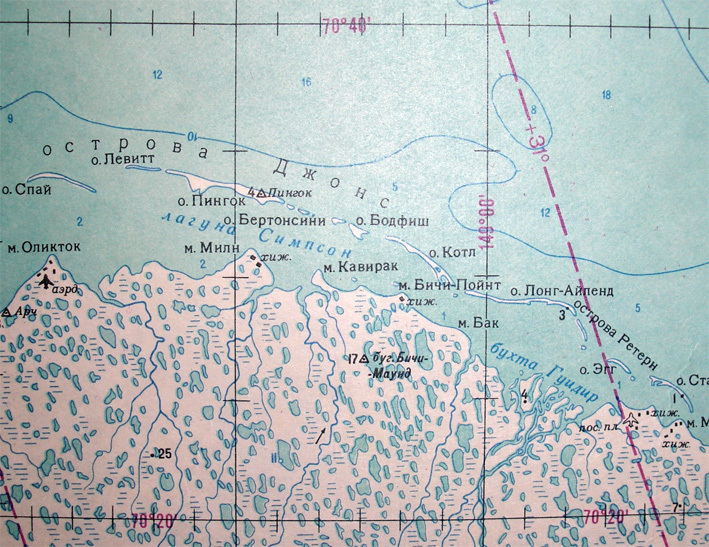 For the first time, the entire southern coast of the Chukchi Sea east of the Bering Strait was mapped, for the first time correctly laid on the map of Diomede Island. With this expedition, Beachy has forever inscribed his name in the history of American Arctic research. After 17 years, a small island in the Lancaster ,Strait named after Beachy, became the site of the first wintering of the tragic expedition of J. Franklin. Due to this, the name Beachy constantly appeared in the plans and reports of numerous search expeditions. After the Arctic expedition, Beachy was engaged in surveying the coast of Central America and Mexico, and since 1837 hydrographic work in the Irish and Bristol channels.It is to him that England owes detailed knowledge of these water areas belonging to her. In 1847, Beachy was assigned to the naval department at the Ministry of Commerce, in 1854 he was promoted to rear admiral, and in 1855 replaced Lord Elsmir, becoming the 13th President of the Royal Geographical Society. Suffering from a serious illness, he, nevertheless, to the end of his days devoted himself entirely to the affairs of the geographical society. He died in his home in Hyde Park. An islet near the southwestern coast of Devon Island in the Canadian Arctic Archipelago. Called U. Parry. 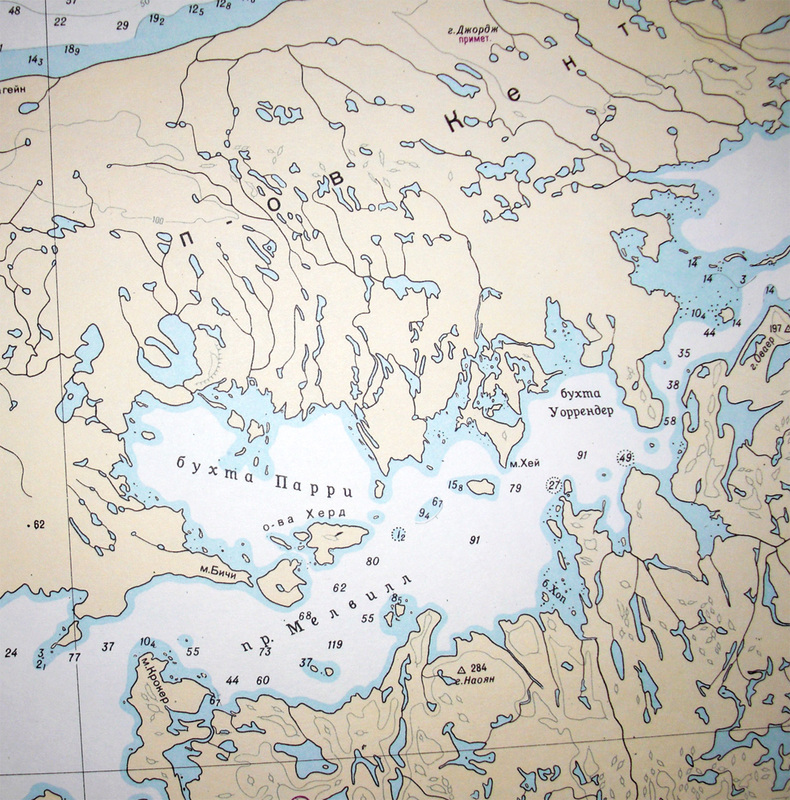 Cape (Beachy Point) in the south of the Kent Peninsula in the Melville Strait in the Canadian Arctic Archipelago. Cape in the northeast of Ellesmere Island in the Robson Strait. 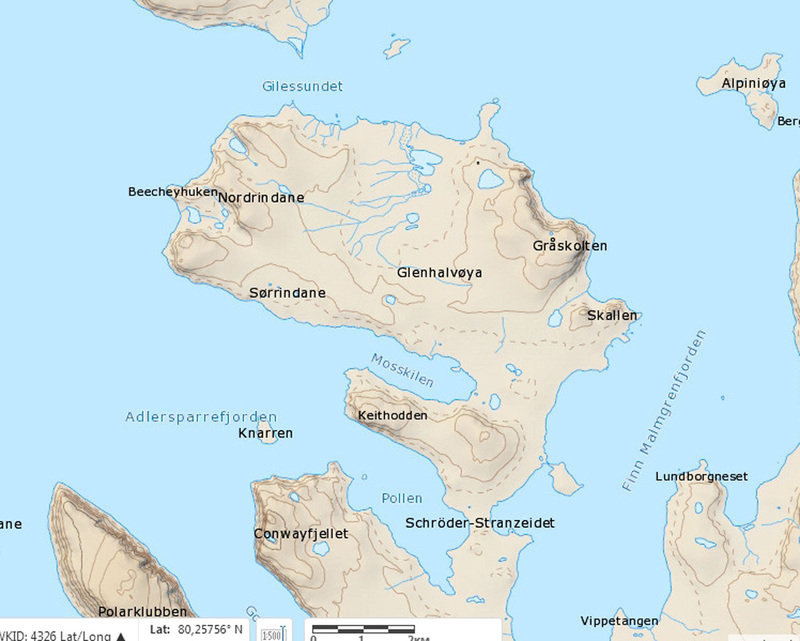 Cape (Beachy Point) in the Beaufort Sea east of longitude 150° W.
Cape, the extreme northwestern point of the Glen Peninsula on Orvin Earth, the island of Northeastern Earth, Spitsbergen. 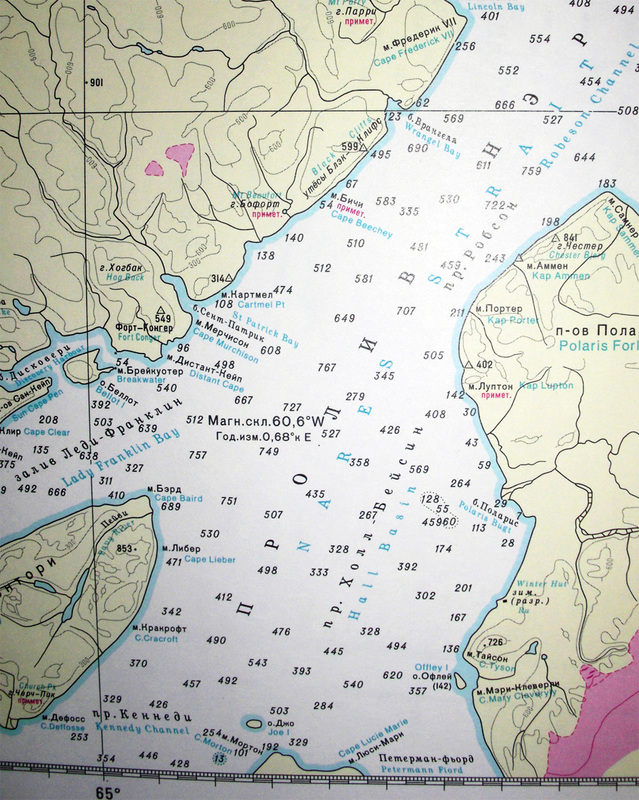 Coordinates 80° 21.0'N 24° 08.0'E.